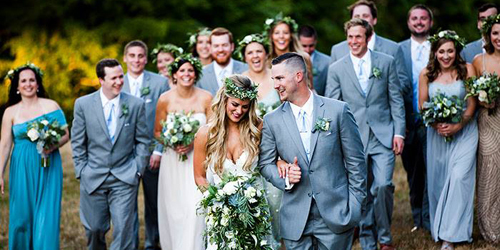 In the heart of one of New England’s loveliest towns, on 14 acres above Fishers Island Sound and Mystic Harbor, the Inn at Mystic has been welcoming wedding couples since 1981, offering a variety of romantic venues for ceremonies and celebratory gatherings. For those seeking more intimate spaces, the inn’s breathtaking Colonial Revival Haley Mansion, with its 18th century pin pine paneling and hand-carved fireplaces, is a top choice for couples, since it is surrounded by formal gardens (perfect for smaller affairs), a meadow pond and a waterfall. Menu options featuring fresh, local cuisine and all the other components of very inclusive wedding packages can be customized for any size wedding, every season of the year. Gather your most special family and friends for a small, intimate wedding in the romantic and historic village of Mystic, CT. No detail is too small for the experienced event and catering staff and Hilton’s own impeccable service and amenities will ensure that you enjoy a wedding of incomparable style and grace. The Clipper and Cutter ballrooms are perfect for smaller events and you can book the Commodore parlor room for a spacious bridal suite on your special day. The hotel provides on-site catering, wedding packages, A/V equipment rental and other amenities to create a rehearsal dinner, ceremony and reception that fit your needs. The hotel hosts but one wedding per day to give you the undivided attention you deserve. 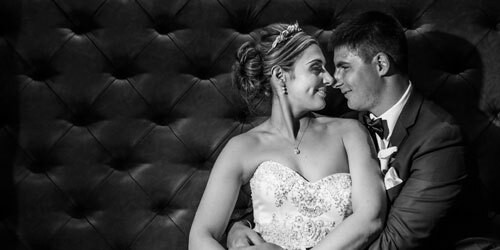 The Griswold Inn, set in picturesque Essex Village, has long been known as one of the area’s best venues for memorable small weddings. Our smallest dining room can be used for intimate groups of up to 14 people and our largest venue can be used for a celebratory party of up to 150 people. Our other dining rooms can accommodate all sizes of gatherings in between. Each of our venues showcases our celebrated art collection, and some have fireplaces. We're happy to work with you to create custom menus. Select wines from our award-winning wine list and let our private events manager help you create a wedding that is uniquely yours. 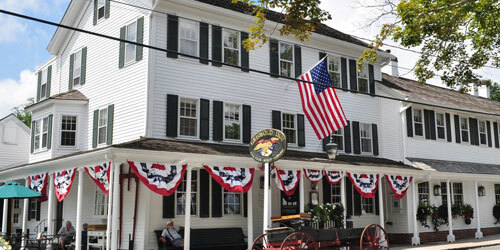 There is no other venue with the extraordinary atmosphere you'll find at the Griswold Inn.